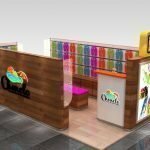 When starting a mall shoe kiosk , a unique design kiosk will be very important. 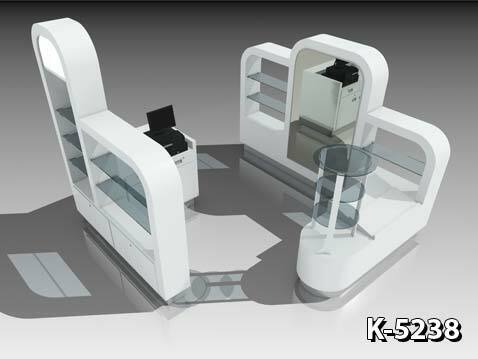 With great kiosk design ,you can soon catch customer eye-contact. and win the first glance from customer. Here blow is a small shoe kiosk design for your reference. With main white color concept , you can have a great products display visual. the big compare will make the shoe or accessories more outstanding. the tempered safety glass and led light will also give effect on products. Basically, this kiosk design is mainly focus on products display. All the kiosk corners are in round shapes and on the right side where there’s a round glass display stand are the best display area. You can show some of your best products to give as much advertising as possible. 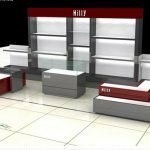 If you are looking for design concept for shoe display, fashion accessories , or handbags retail . This white color kiosk design will be good for you ,Unique kiosk also have design team to provide you custom kiosk design service. No matter wooden indoor kiosk or metal outdoor kiosk , we can make it for you . Contact our team now and find the best price with lated design.